In a proper Las Vegas fashion, the Drone Rodeo turned the bleak desert into a buzzing hive of activity in its third year as the kickoff for CES 2018 this Monday. Even the drab grey skies intermittent with rain were awash with a Vegas rainbow of fluorescent LEDs as racing drones zipped through an obstacle course at breakneck speeds. While the show floor is great for watching marketing videos about features, the Drone Rodeo is where the real performers go to strut their stuff. The title sponsor of the Drone Rodeo, Uvify, put on a stellar display of their latest technology that targets the micro drone space with out-of-the-box performance. The OOri broke ground as the world’s fastest micro drone, finding itself dwarfed by my palm while still packing some impressive specs. 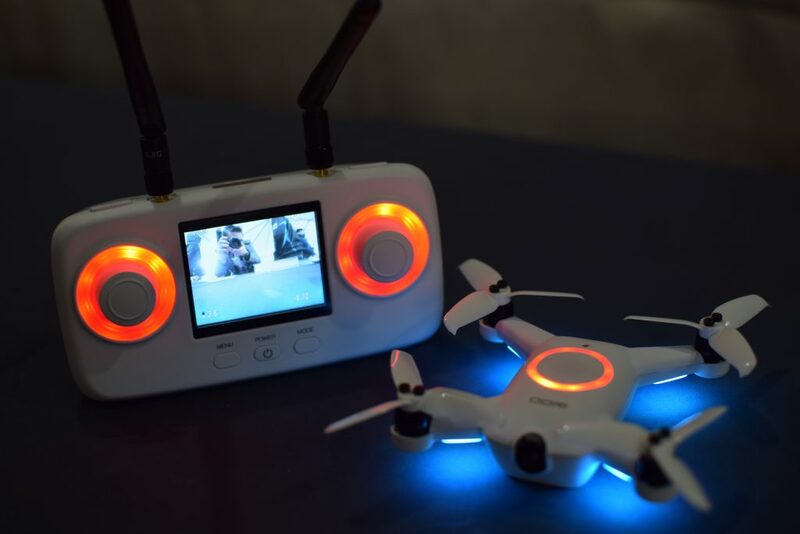 The drone and props are made up of a polycarbonate plastic, which ensures durability and lightweight construction. Despite the fragile appearance of the small quadcopter, it comes with respectable features that push it beyond a simple toy quad and into the realm of functional racers (like its big brother the Draco) with brushless motors and a top speed of 53 mph. The $289 OOri has altitude hold, angle hold, and full manual capabilities to deliver pilots complete control of just how much speed and performance they are looking for. A downward-facing camera and infrared sensor help keep the quad as easy (or complicated) to control as the pilot desires. A key theme at this year’s Rodeo was the simplifying the racing drone market, and removing the barriers many newcomers to the sport face. 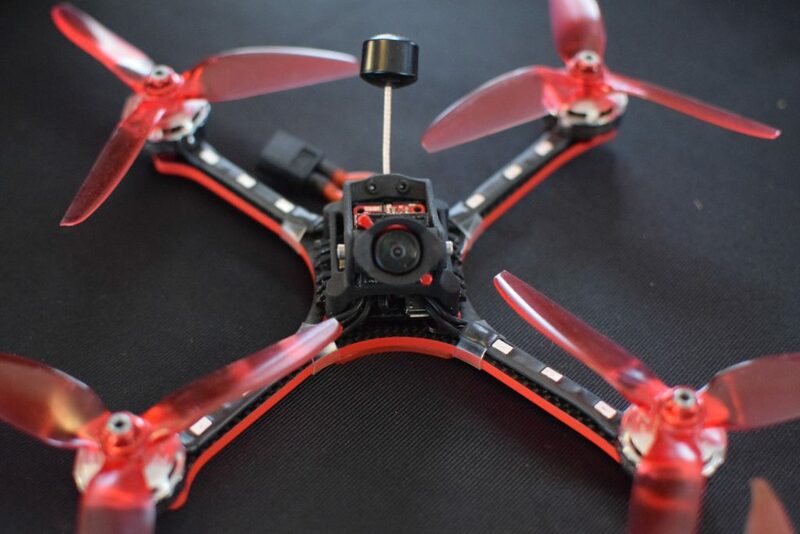 Even though racing drones have been developing as more user-friendly products (evolving from their DIY roots), the category still requires some knowledge to get started. Transmitters, quadcopters, batteries, and chargers are all generally sold separately, with a steep learning curve to getting up and flying— until now. The FPV (First-Person-View) goggle brand ubiquitous with drone racing, Fat Shark, had their first crack at producing a ready-to-fly (RTF) drone on display. 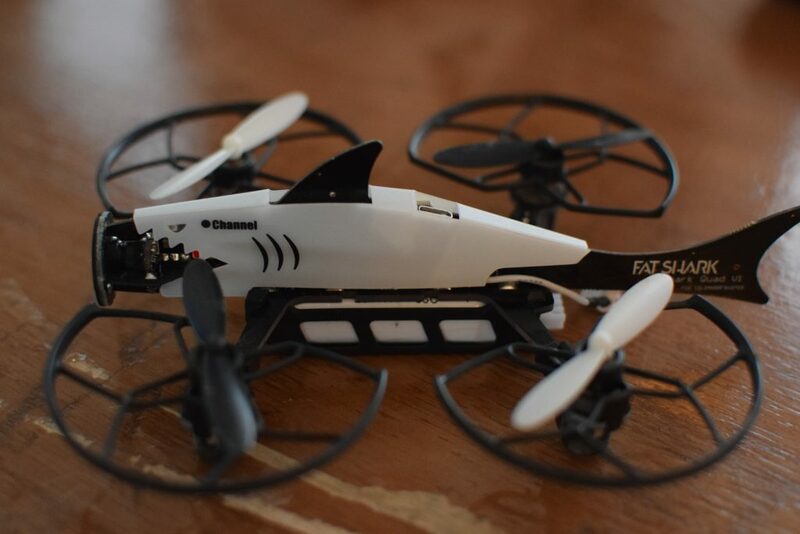 At $249, their out-of-the-box mini drone Fat Shark 101 uses USB battery charging and plug and play connections to get users flying in no time. 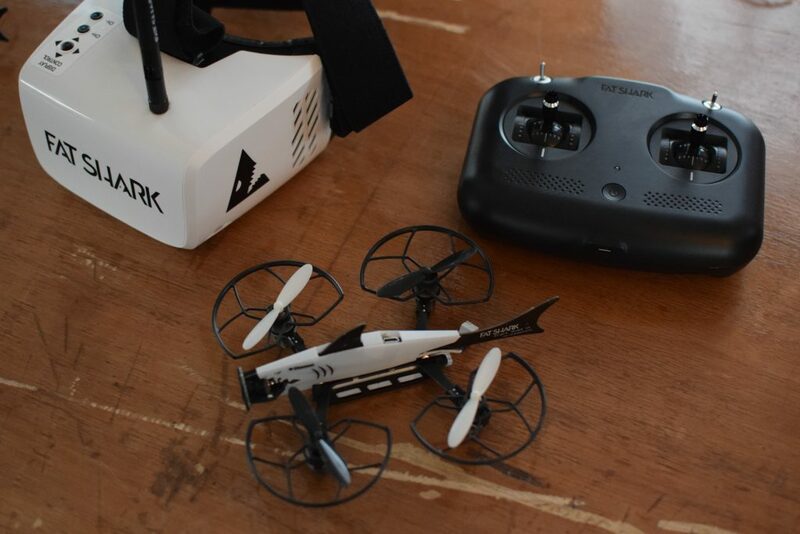 The bundle also includes a pre-paired transmitter, FPV goggles, and all the extras in order to give pilots a fun entry into the world of FPV flight without the fuss. 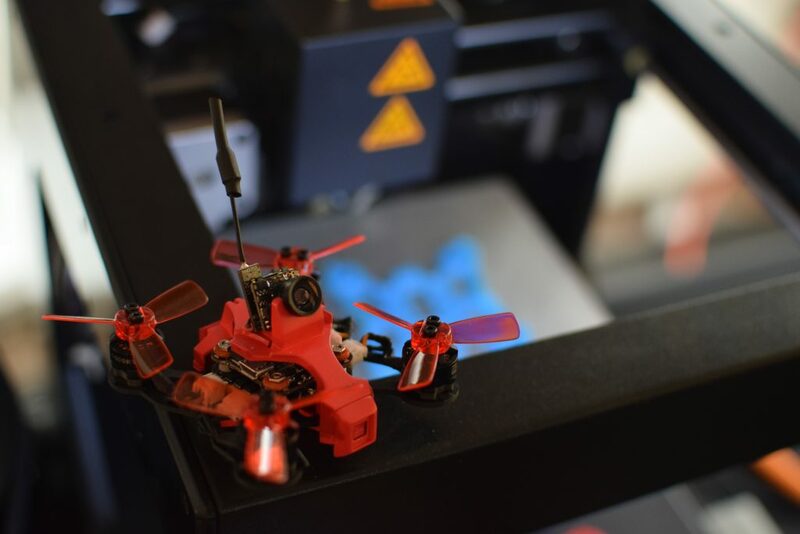 Latest on display from Drone Art was the RC EYE Imprimo, a 3D-printed drone kit that comes unassembled and snaps together in a matter of seconds. The pint-sized quad is no joke though, and feels surprisingly solid in the palm of my hand. The four brushless motors keep the unit zipping around, while six-axis gyroscopes and accelerometers help balance flight. The unit is compatible with Betaflight, which is a common software for racing drone performance configuration. Surprisingly enough, the little guy comes with a 1080p HD camera, with recording to a MicroSD card. Drone Art’s Aeon racer was back from last year, with a new multi-directional layered carbon fiber frame. This thing was no joke; while still quite minimalist, it left the compact form agenda at the door and doubled down on the performance. Uvify’s OOri comes with a USB battery charging dock that can charge four batteries at once, which makes battery management easy. It comes with a compact transmitter that includes color video feed and RGB LED customization control from the remote with one button. 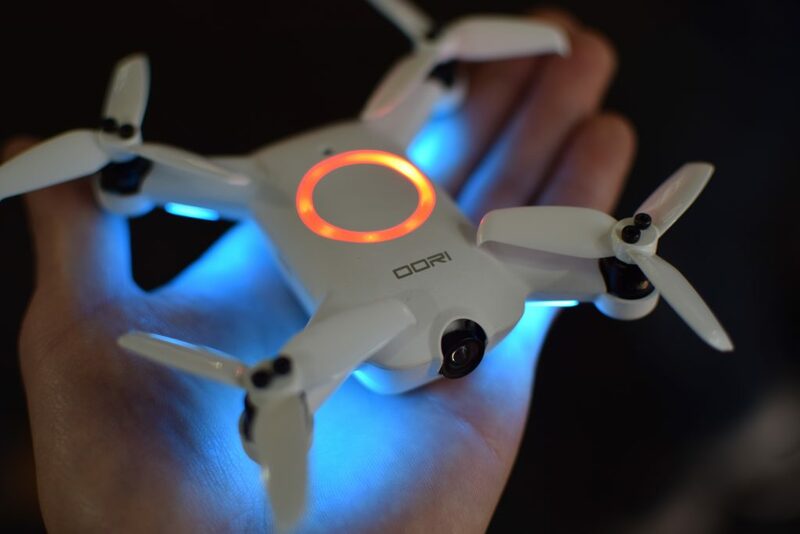 The OOri also can be launched from the palm of a pilot, which is a fun trend for mini drones. While drone racing is where First-Person-View (FPV) all started, it has bled over into the greater photography and hobbyist market with modest success. Companies like DJI have created HD FPV goggles with built-in controls that target the photography drone crowd, and others have followed with more economical models without all the goodies. The vast majority of the drone brands at CES had either FPV compatibility or their own proprietary goggles, which gives an indication of what the market is headed for. The word from the drone community is loud and clear, FPV and immersive drone piloting is here to stay. 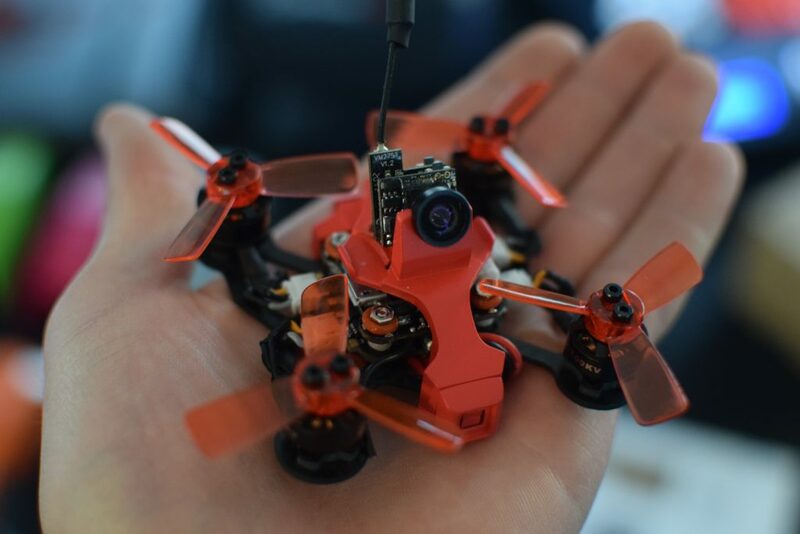 In the next two years or so I have no doubt we will be seeing some very advanced developments in the FPV market with higher quality imagery, smaller form-factor, greater control, and at a cheaper price. If the Drone Rodeo is any indication of the year to come, quadcopters have a bright future and the excitement is just beginning. Check back for more of our drone coverage at CES 2018. Next PostParrot Bebop 2 Power FPV Drone: Can a Fixed-Camera Quadcopter Really Have it All?